JOIN OR RENEW FOR 2019 COVERAGE AS EARLY AS SEPT. 4.2018! Print the 2019 Membership Form! Membership is non-refundable. This membership expires December 31st every year and provides up to $5 million personal liability insurance. 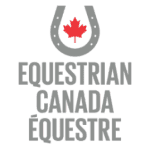 Membership may include registered participant status and associated privileges in Equestrian Canada. Please note: This is NOT your Equestrian Canada Sports License – this must be purchased separately through Equestrian Canada. Horse Council BC may use the contact information collected for the purpose of providing me with information related to my membership. Email consent is required to access your online account and reset your password. Newsletters and special promotions can be opted out of at any time through the unsubscribe button or contacting the office. If you have any questions before purchasing please call the Horse Council BC office at :1-800-345-8055 and we would be happy to help. JOIN HCBC AFFILIATES WITH YOUR HORSE COUNCIL BC MEMBERSHIP! at the same time (HTBC not available for family memberships). Your Horse Council membership card will show you as being a member of these organizations as well. You can also add these organization memberships online after you have already purchased your HCBC membership. Simply log onto your account online, tick the check box for one or more of the organizations on the Membership Type Page, and follow the Membership Walk Through System. You will not receive an HCBC card in the mail, but can print one yourself showing you as a current organization member. Individual is for youth associates (under 19 years) and adult members (19+ years as of January 1). HORSE COUNCIL BC MEMBERSHIP IS NON-REFUNDABLE. Horse Council BC is proud to be recognized as the provincial sport organization for equestrian by Equestrian Canada.